Multiple Sclerosis is a neurodegenerative disease of the central nervous system that can cause a person’s body to have physical and cognitive disabilities that gradually get worse in relapsing attacks or that steadily progress over time. MS occurs when the body’s own immune system attacks the insulating substance of axons called myelin. When myelin is damaged, it hinders the ability of axons to conduct signals from the brain to spinal cord, resulting in neurological symptoms that vary from person to person. Multiple Sclerosis Elders may experience difficulty moving, muscle weakness, fatigue, chronic pain, incontinence, mood changes, forgetfulness, and poor vision. When you have an Elderly or Senior loved one with MS, it can be nerve-wracking to constantly worry about their overall well-being or when the next relapse attack is going to occur. 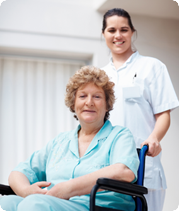 A-1 Home Care is a non-medical homecare agency that provides dedicated and experienced Multiple Sclerosis Care on a 24 hour Live-In Care or Hourly Care basis. With an MS caregiver from A-1 Home Care, you can have peace of mind in knowing that your loved one will have companionship, assistance with activities of daily living, and someone to be there to call medical attention immediately in case of a relapse attack. All of our MS caregivers, nurse aides, companions, and home helpers must have at least 2 years of prior at home caregiving experience, verifiable professional references, a National Background Check/DMV Check, Tuberculosis testing, Malpractice/Liability insurance, First Aid/CPR training, and a personal interview with our office staff. A-1 Home Care is a Licensed Bonded and Insured non-medical homecare agency that has been a care provider in Orange County since 1991 with an A+ Rating from the Better Business Bureau, Shield Accreditation, and memberships with the National Care Planning Council and Chamber of Commerce of Torrance, Santa Fe Springs, Pasadena, and Newport Beach. 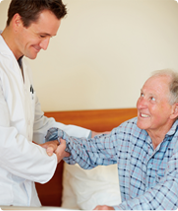 We provide in-home care in the OC communities of Costa Mesa, Fountain Valley, Westminster, Irvine, Tustin, Laguna Beach, Corona Del Mar, Newport Beach, Huntington Beach, Garden Grove, Seal Beach, Los Alamitos, Villa Park, Buena Park, La Mirada, Yorba Linda, Fullerton, Anaheim Hills, and others in Orange County. 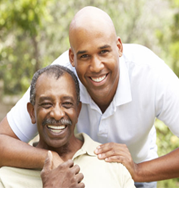 To interview and hire a compassionate caregiver in your area, CALL us at 949-650-3800 today.